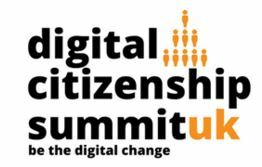 Danjjroberts | What on earth is #DigCitSummitUK? A chance conversation with William Jenkins @EdTech_Stories on Twitter this weekend helped me get to the bottom of this confusing hashtag. I have seen it pop up on my timeline a few times recently and with less than a week to go things seem to be picking up. It is unbelievable to think that just 8 weeks ago after a random tweet and a Skype call that this whole conference has been organised and is happening in Bournemouth this weekend. Even more surprising is that my coffee drinking buddy @Gary_S_King is presenting too where have I been for the last 8 weeks? What I love about #DigCitSummitUK is that it shows you just what can be achieved with a passion in education and technology. And of course many of you may know this one or maybe you don’t there was the time I became a giant Chicken! I can’t wait to be watching what happens this weekend, good luck to everyone involved!